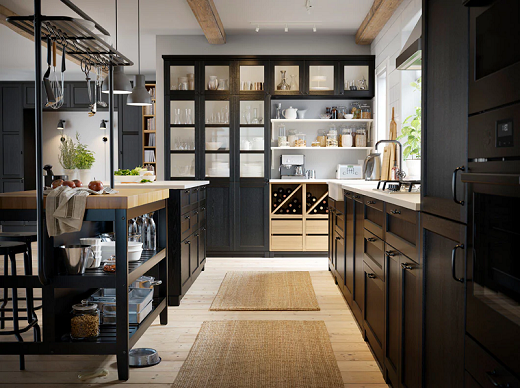 Kitchen is a heart of every home. A place where you learn a new recipe or just have a small talk with family. 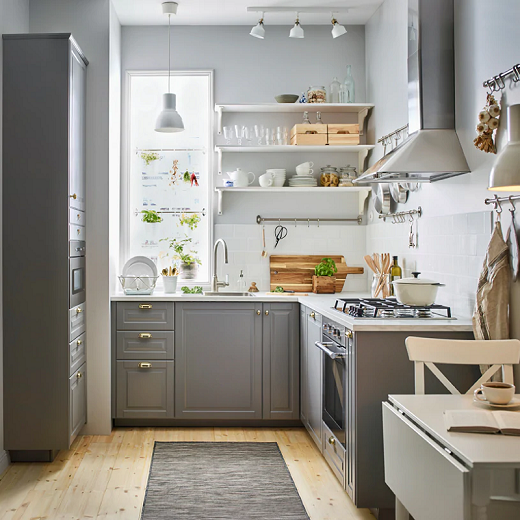 It's time to make your own kitchen design comes true. 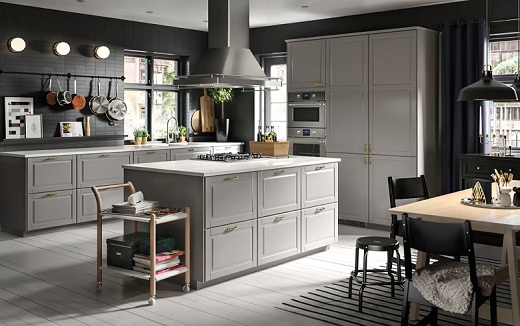 We've lots of kitchen ideas, planning and tutorials to help you, and of course the products to make your new kitchen complete. Any parts feel too tricky? Come see our services. No wall cabinets? No problem. 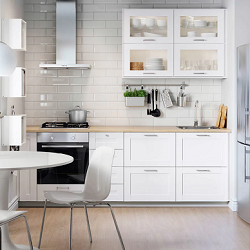 This kitchen comes with racks and rungs, with easy access to all the utensils and essentials. Pluck a pan from a shelf and get cooking. 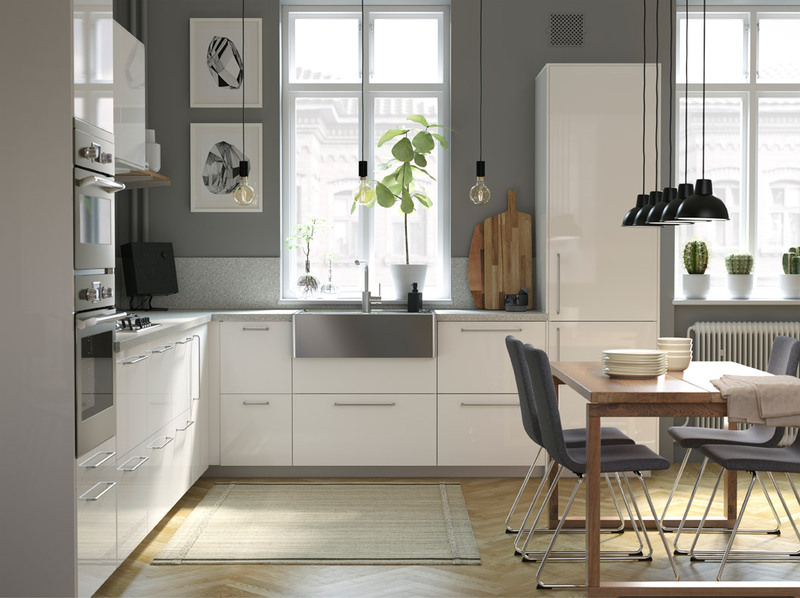 Add a Scandinavian modern design to your open-plan kitchen. 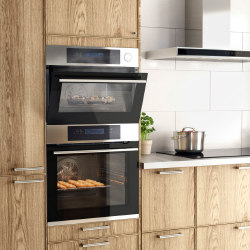 Our cabinet doors and shelving in ash are tailored to the space you have and your budget. 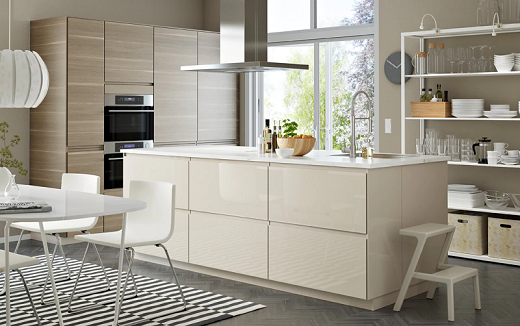 Create a modern oasis of calm in the kitchen with a combination between light beige, white, and walnut colour. 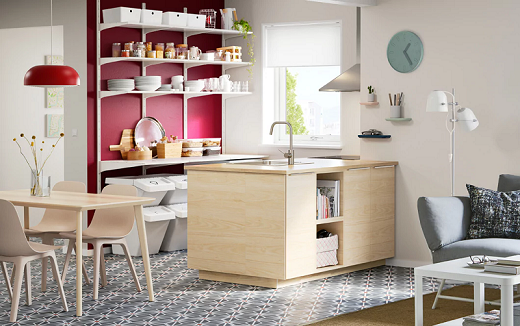 And you can place a shelf unit to keep your dinnerware perfectly organised. Tuangkan ide Anda ke pintu kabinet dengan permukaan papan tulis. Anda juga bisa memanfaatkannya untuk mengorganisasikan barang-barang di dalam kabinet. Every space counts, you have to use get the most of it. 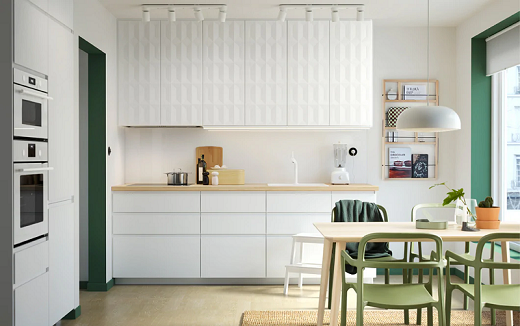 Wall cabinet and the room divider with hooks provides extra storage to keep things clean and neat. Traditional kicthen design which applicated on a modern home creates a perfect balance between eficiency and aesthetics. 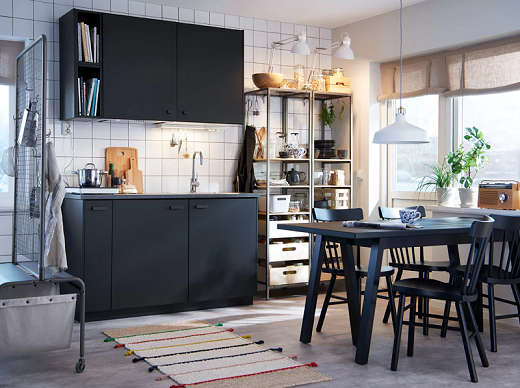 The table with natural wood finish stands out inside this gray room. 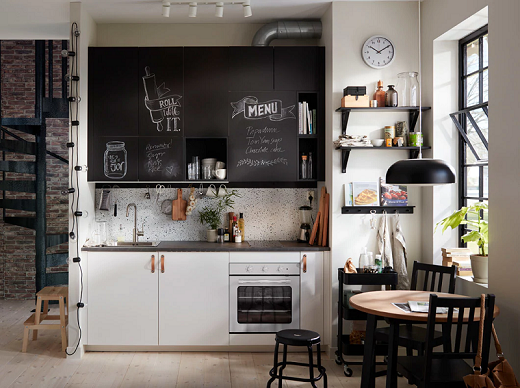 It's a sure thing to try an extraordinary approach to decorate your small kitchen. Start from the small things such as plant pot to cabinet door with 3-dimensional surface. 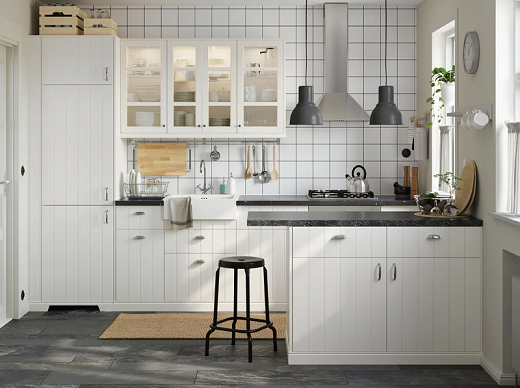 This is Scandinavian style. Express yourself in the place where all of life’s daily activities take place. 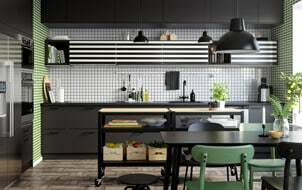 From stripes to grids to solid black, feel free to mix and match patterns as much as you like for a stylish, yet personalized kitchen. Express yourself in the place where all of life’s daily activities take place. 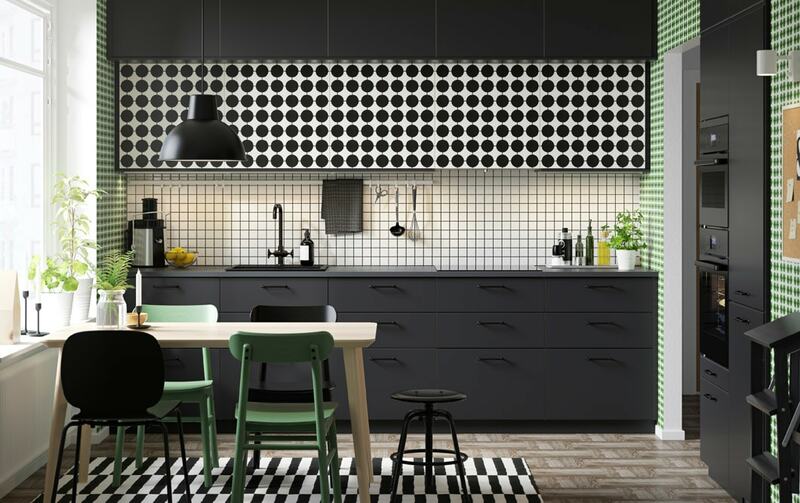 From dots to grids to solid black, feel free to mix and match patterns as much as you like for a stylish, yet personalized kitchen. 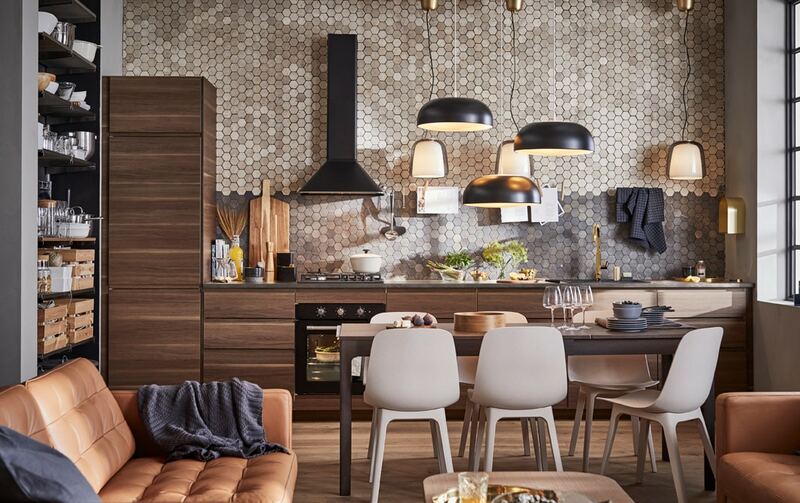 A sleek, stainless steel sink for a trendy look, some music on a Bluetooth® speaker to set the mood, and wooden details to add a little warmth to the room. 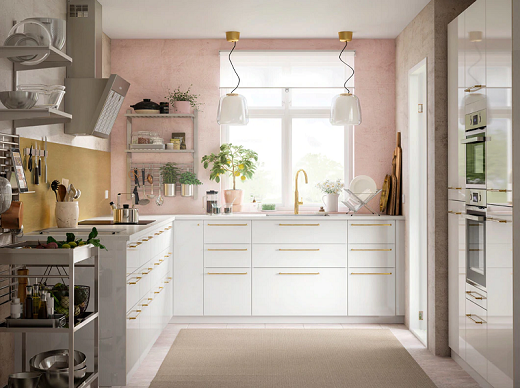 Here’s the recipe for a stylish, fun and welcoming kitchen!